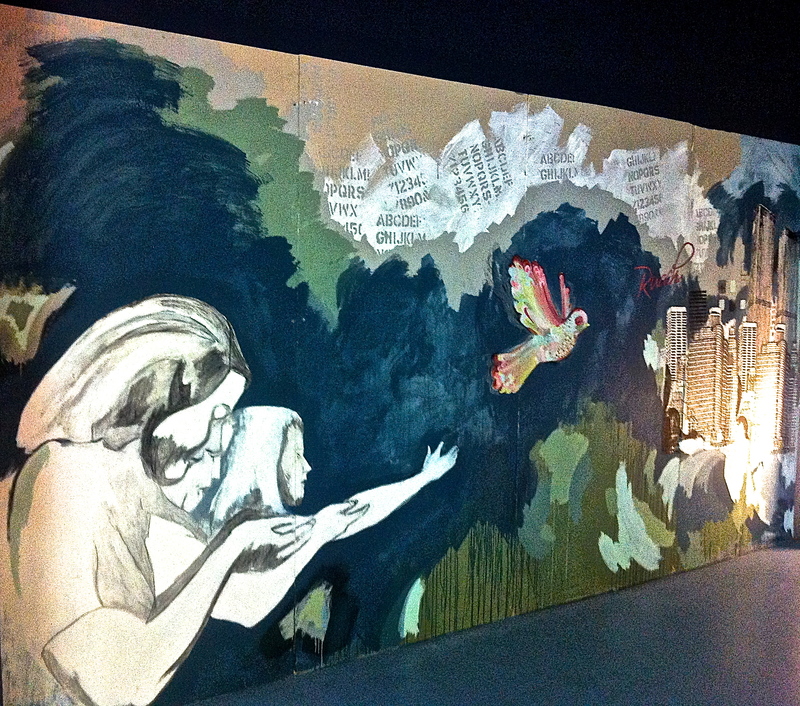 Mural from Mosaic Church in Miami, Florida. Loving and merciful God, we bring You thanks and praise for blessing us with this day because it is just so good to be in the house of the Lord one more time. So as we take our seats today in Your house, we pray that we take the time to really know You, Your Word and to really know our sisters and brothers starting right here and right now. Make us aware of the needs of those around us by clothing us in a holy way of life full of compassion, kindness, humility, gentleness and patience. Wake us up with Your wisdom so that we can break down the conventions of this world and build up our relationship with You and with each other. You freed your people Israel from Pharaoh and you can/will do it again and again. You set us free with Your amazing grace and Your never ending love so that we don’t ever have to carry the weight of the world with just our two hands because You have taken on our burdens with Your sacrifice on the cross. Get in here Jesus. Get in our minds, hearts and lives so that everyone will know that God is always with them and that we can go to the altar, to the table of love and affirmation: A place where we can leave all of our baggage and receive the promise of everlasting life. And even though we fail and stumble, time and time again, it is God’s Grace alone that always catches us. To God be all the glory. Amen.